Dryer or fabric softener sheets can be found in almost every laundry room. We toss in the sheets with every load to add fragrance, a bit of softness, and to reduce static cling. But how do the sheets work and are they safe for clothes dryers? How Do Dryer Sheets Work? Most dryer sheets are small pieces of non-woven synthetic fabrics coated with a solution of a quaternary ammonium salt or a silicone oil-based fabric softener. There are some sheets that are made of natural or cellulose fibers that can be recycled. The heat of the dryer softens the fabric softener allowing the coating to transfer to fabrics. It is this coating that makes clothes feel softer to the touch. Dryer sheets reduce static electricity that forms in the dryer due to too many loose electrons giving clothing atoms a negative charge. The fabric softeners coating the dryer sheet fabric are cationic, or positively charged ions and equalize the electrons and ions to prevent static. While fragrance is not required to soften clothes or reduce static electricity, most manufacturers add a scent that some users enjoy. Are Dryer Sheets Good for All Fabrics? The coating that is left on clothes is not ideal for all fabrics. Children's sleepwear is required by law to be flame-resistant. The coating left by dryer sheets will make pajamas and nightgowns MORE flammable. The coating also reduces the water-absorbency of cotton and microfiber towels and reduces the moisture wicking action of athletic wear. The use of fabric softener dryer sheets won't permanently damage your dryer, but they may affect its operating efficiency. And, when efficiency is reduced, your utility bills go higher. Just as the dryer sheets leave a residue on your clothing that makes the fabric feel softer, they also leave residue in your dryer. This residue may clog the screen of the lint filter and reduce air circulation. Good circulation is essential to getting clothes dried properly and helps prevent overheating which can lead to fires. The dryer lint filter should be emptied after every load of clothes. But if you use dryer sheets for every load, you must also clean the lint filter screen monthly with a fine brush and a small amount of dishwashing detergent mixed with hot water. Rinse well and allow the screen to air dry before returning the filter to the dryer. Always check to be sure the sheets are removed from the dryer with each load of clothes. Dryer sheets can sometimes become stuck in the lint filter or over a vent and prevent proper air flow. Dispose of the sheets properly to keep them away from children and pets. Almost all dryers—both electric and gas-powered—have a cycle that promises to prevent overdrying of clothes by detecting moisture levels and turning off the cycle when the load is dry. The cycle operates using an electronic moisture sensor that is embedded in the dryer drum. Dryer sheets can cause the electronic moisture sensor to become coated with chemical residue. The coating prevents the sensor from working correctly and can cause your clothing to overdry (and increase your utility costs). If you use dryer sheets, locate the sensor and use a cotton ball or swab dipped in rubbing alcohol to clean it once a month. You may discover spots on freshly washed and dried clothes that look like grease. The spots are excessive fabric softener residue deposited on the fabric from dryer sheets. If a heated dryer sheet remains in one spot for too long, the softened chemicals cause the stain. You can prevent this by never overloading the dryer. The clothes and dryer sheets need room to move and tumble freely. Learn how to remove the dryer sheet stains from clothes. Pets seem to be fascinated by dryer sheets. Maybe they like the movement of the lightweight fabric floating along the floor or the scent. But, as we know, just because we like something doesn't make it good for us. Dryer sheets can make dogs and cats quite ill and even cause death if ingested. Learn more about how to keep your pets safe in the laundry room. If you find yourself with extra dryer sheets, they can actually be used in many ways around the house from cleaning pots and pans to scrubbing car grills and bumpers to pest control. 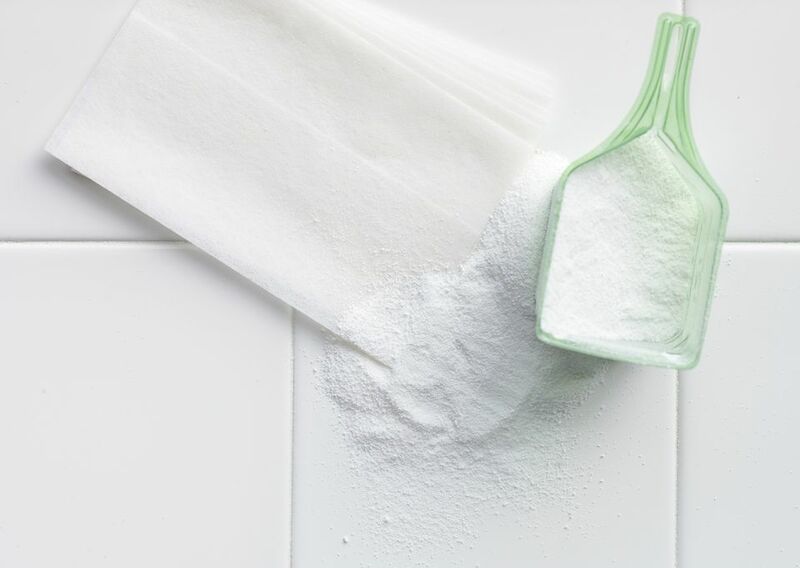 Learn 14 unique ways to use dryer sheets. Why Isn't My Clothes Dryer Not Working? Get Rid of Dryer Lint. Only You Can Prevent Dryer Fires. What Do Those Flashing Symbols on My Samsung Clothes Dryer Mean? Gas or Electric Clothes Dryer: Which Is Best? Is My Homemade Detergent Safe to Use in My Front Load Washer? How Do I Select and Care for a Ventless Clothes Dryer?